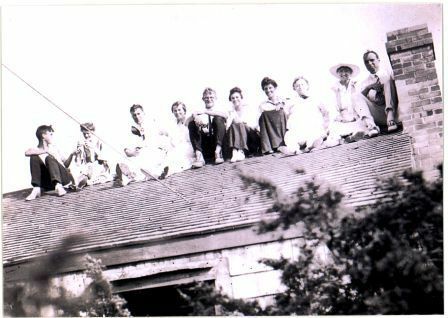 This is my grandmother, second from the left, circa 1910’s knitting on the top of a roof with her future husband, my grandfather, and a group of friends. We think they were so sedate. I can promise you I have never taken my knitting on to a roof. This woman was a passionate knitter. 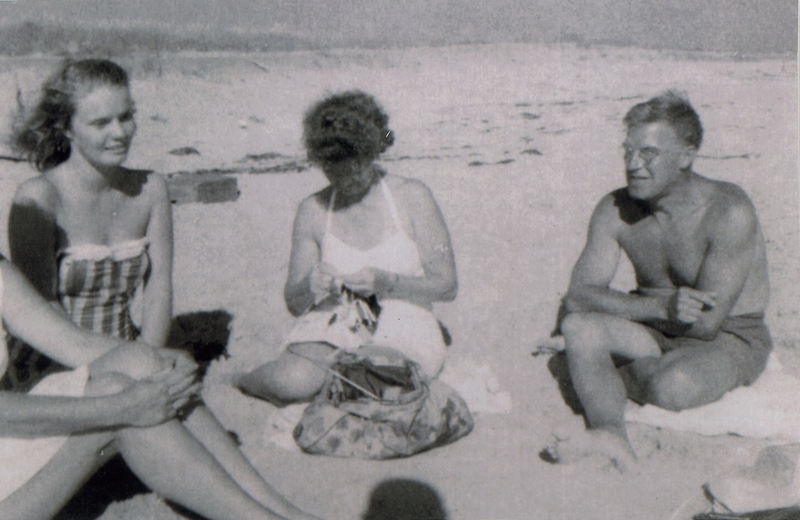 Here she is knitting at the beach in the 50’s. Gosh, I could have had a great afternoon sitting in the sun knitting with her. She also was photographed knitting at her only child’s,(my Dad’s) wedding reception. I can’t imagine what she would have thought of knitting and the internet. And talk about stash. She took 60 crates of yarn to Hawaii with her in the 50’s when she and my grandfather retired to the tropics from New England. I don’t think she ever got used to the warmth and didn’t know what to do with all the wool she took with her. She was beloved in our hometown in Nantucket,MA for all the people she taught to knit, every class of incoming student nurses to our local hospital, and all the knitted gifts that slipped off her needles at the mere mention of a pretty sweater in a shop window. Sadly, she died before I was born and I have nothing of her knitting history except these wonderful pictures and the sweet stories of her generosity. 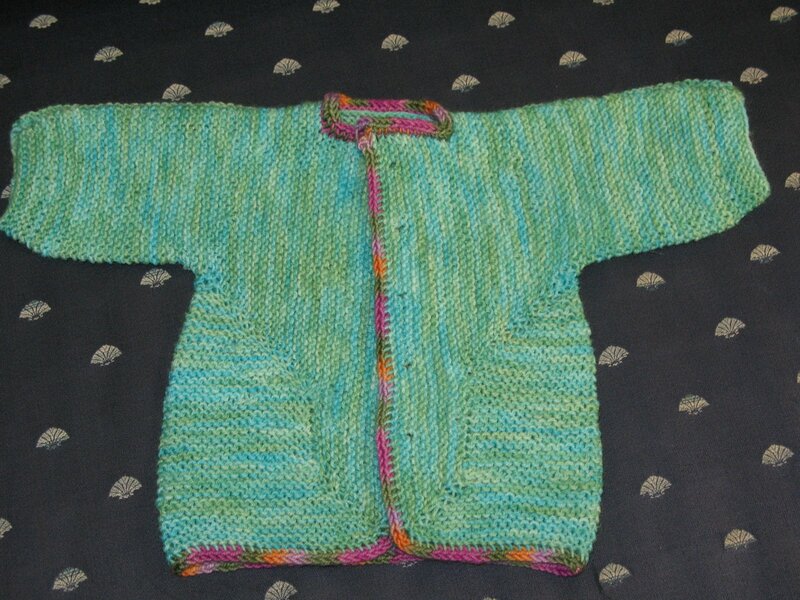 My mother was also an avid knitter. I have a wonderful photo of her in college during WW II I will have to dig up. Sadly, she died when I was only 1 1/2 years old and I have nothing from her knitting history. Luckily, I was taught to knit by a great babysitter I had, when I was four years old. But with this kind of knitting background I have always thought it was just in my genes. Fortunately, I have passed on this passion to my two daughters. 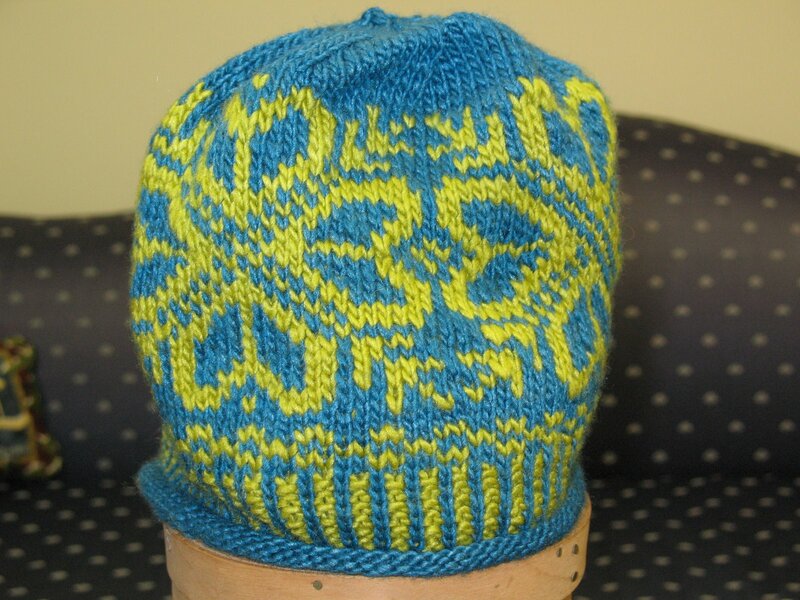 Both are excellent knitters and have a great eye for color and design. Interestingly, I have never taught them to read a pattern. Everything they have ever knit has been self-designed. They tell me what they want, pick a yarn, knit a swatch, we measure and go from there. They are fully engaged in the designing process without any of the “follow the direction” anxieties. I-Cord: Socks that Rock. No idea of the color, from stash. I love this yarn and will be using again as soon as I find a local supplier. I purchased this at The Woolgather in Kennett Square, PA. This is a lovely shop and anyone who considers this their local shop is very lucky. They are very warm and welcoming. My 22 year old daughter loved it sooo much she immediately cast on with the left overs to make a matching scarf. She is having more trouble than she bargained for as she didn’t want a tube scarf and is working this flat. Which as everyone knows who has ever worked stranded knitting flat, it ain’t so fun. She is only doing the stranded design at the beginning and end of the scarf, so not so bad. It is amazing to work with, glossy and wooly all at the same time.